When you spend huge amount of money to buy a car, you will always try to do anything possible to protect the car. Lanmodo is one of the newest innovative car shades you can ever find anywhere. Installation and use is not difficult and does not take much time. Another thing is that it is built with custom design, which is the reason you can easily customize it to your need. It is portable and easy to be carried on the car. Also, the folding and unfolding does not take much time. The installation only takes about 30s. Lanmodo innovative car tent is built to protect car from different outdoor damaging hazards. 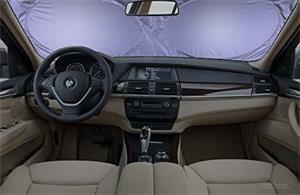 Adding to that, there is absolute temperature control associated with this new auto car tent. This shade is being operated with a remote control. So, the operation is done with simple press on a button. Even your little child can put on the shade over your car. Adding to the abovementioned features lanmodo is also built with multi-functions. These functions include, use for beach party, as a fishing tent, camping and others. In fact, there are endless possibilities to the functions of this car tent. That is what made it the number one in our top 7 best car covers to keep your vehicle away from hot sun this summer. This is built mainly for your personal protection from UV rays of the sun. This is part of cool car shades designed to make driving during the summer comfortable. It is lightweight weighing only 160g. Folding and unfolding of the shade is quite easy. So it only requires small storage space. Also, it comes in silver or black colors. 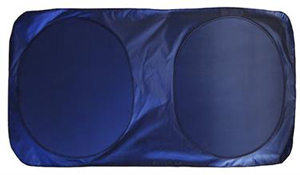 The BriteNway Large Sunshade UV auto protector comes with optimal design. This is built with compact designs for storage as well as portable. It comes with full coverage and added materials attached on each of the sides. It is easy to set up taking only few seconds to be installed. Just with a little twisting you can bring the shade down your vehicle. This is one of the most sort-after traditional summer car shade canopy. It is built with beautiful and captivating look. It is built with strong support that made it withstand effects of the wind in the summer. 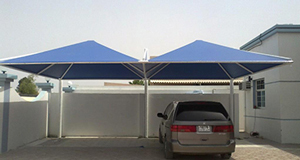 When there is need for car shade cover built to fit many cars, the side door car cover shade is the option. This shade comes with compact design. It comes with lightweight features that made it convenient and absolutely comfortable to be used. That is why you should consider make use of it for your car. This is an affordable choice of best car shade. 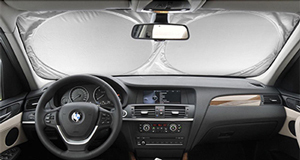 It is built to protect interior of car from dangerous UV rays of eh sun. 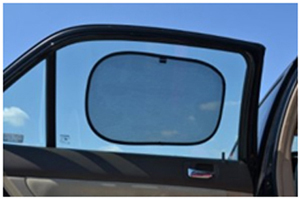 The reflecting fabric of this windshield can help to protect the car from sun heat. The application is quite easy. Does not really fit perfectly in vehicles with large windshields. 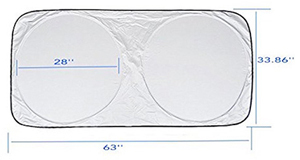 This is a sun car shade built to help keep car interior cool and in pristine condition even with hot summer sun. No matter how scorching the summer temperature may be, this car cover does not fade or crack. Making use of this car cover is easy.